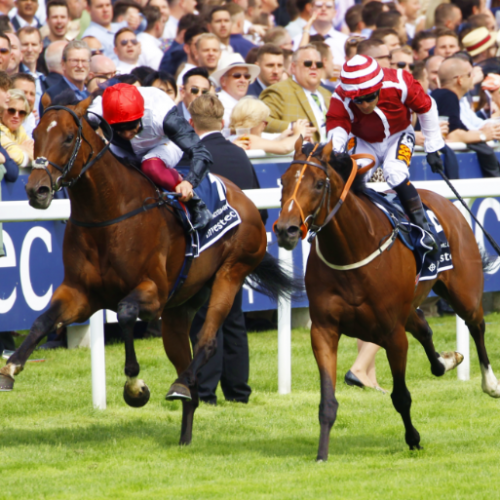 The opening middle-distance race in the QIPCO British Champions Series, the Investec Coronation Cup provides the perfect opportunity to see some of the best older horses (four-year-olds and up) contest their first big mile-and-a-half (2,400 metres) race of the season. This Group 1 event dates back to 1902 when it was established as a commemoration of King Edward VII’s coronation. Its field regularly includes runners that featured in the Investec Derby or Oaks, run over the same course and distance but for three-year-olds only, in preceding seasons. Irish trainer Aidan O’Brien is clearly a devotee, with a remarkable eight wins in the last 14 renewals, including a 2005 victory with Yeats – the only horse ever to win the Ascot Gold Cup four times in a row. Fame and Glory, the 2009 Irish Derby winner, came home for O’Brien in 2010 and he won the race with St Nicholas Abbey three years in succession in 2011, 2012 and 2013, a record for the race. 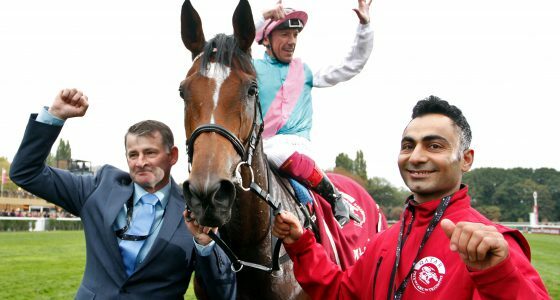 The remarkable Cirrus des Aigles was triumphant in 2014, while the brilliant Cracksman snatched victory from the jaws of defeat in 2018. Leading French trainer, Andre Fabre, has also had remarkable success in the race with six victories – his best record in a British race. The best horses find a way to overcome adversity and that is what Cracksman did in scrambling to a head victory in the Investec Coronation Cup at Epsom. 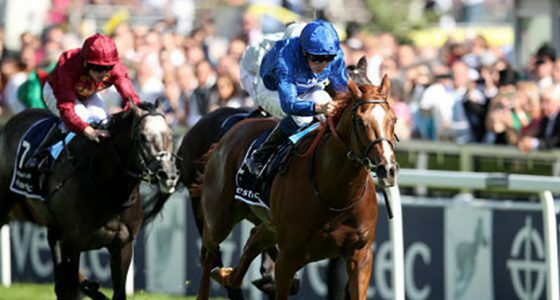 The John Gosden-trained colt was the highest-rated horse in Europe last season following a scintillating display in the Champion Stakes at Ascot and had shone on his return in the Prix Ganay last month. As a consequence the son of Frankel was a prohibitively-priced 2-7 favourite to claim a third Group One success, but he never looked comfortable and it was only in the final strides that he and Frankie Dettori overhauled the front-running Salouen, sent off at 33-1 under Silvestre De Sousa. 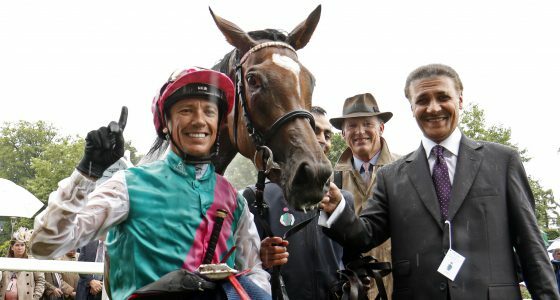 “He doesn’t really enjoy galloping downhill and when I wanted to close the gap, I couldn’t,” Dettori said. “Silvestre (de Sousa, on Salouen) got five lengths on me and made it really hard work. Once we flattened out the turbo kicked in, but we had to work for this one. Gosden said: “Frankie was very clear he doesn’t really handle the track, he got in a muddle coming down the hill and wasn’t really travelling at any stage. “He doesn’t like racing down a hill, he found it awkward, and it wasn’t until he went uphill that he was happy and he accelerated. German raider Windstoss kept on to be beaten about four lengths into third, but Idaho and Hawkbill disappointed. If it weren’t for the 12th Earl of Derby, perhaps Epsom would be best known for natural mineral water, London commuters or bath salts. That or the fact that Led Zepplin’s Jimmy Page came from the Surrey town. As it is, Epsom stands for horseracing, and the Investec Oaks and the Investec Derby in particular. The earl invited his friends to race their fillies on the Epsom Downs in 1779 and thus The Oaks was born. A year later and a second race, for colts and fillies, was introduced. A toss of a coin and it became known as The Derby (if the earl’s friend, Sir Charles Bunbury, had called right then flat racing’s Blue Riband event might today be called ‘The Epsom Bunbury’). The racecourse has witnessed some of the sport’s most glorious moments, with Nijinsky, Mill Reef and Shergar among the horses to enter the winner’s enclosure. It has also seen tragedy, however, when suffragette Emily Davison threw herself in front of King George V’s horse Anmer in 1913 and died of a fractured skull.